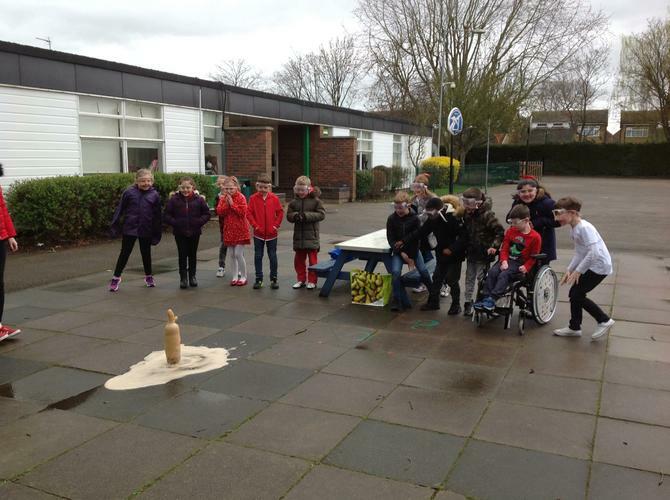 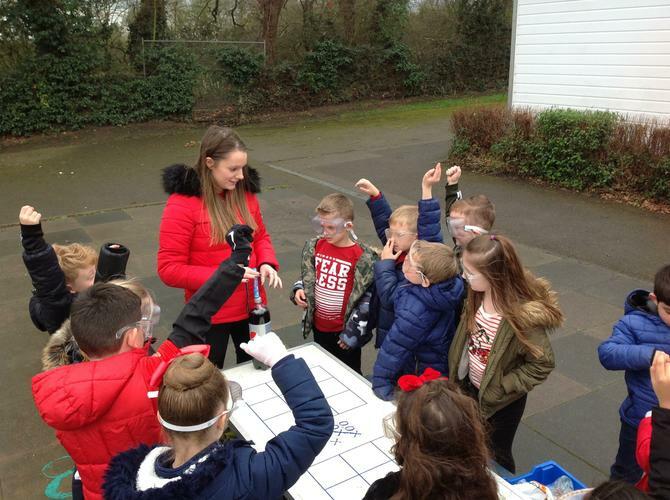 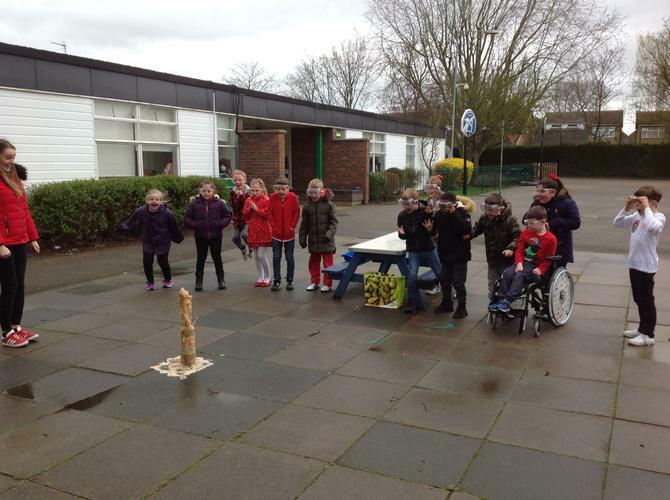 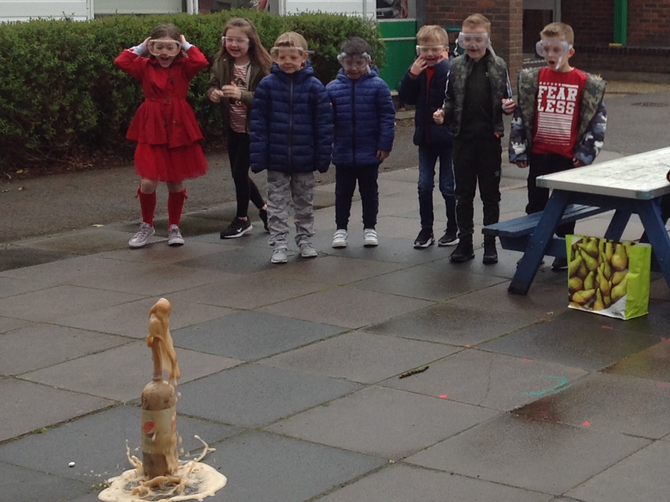 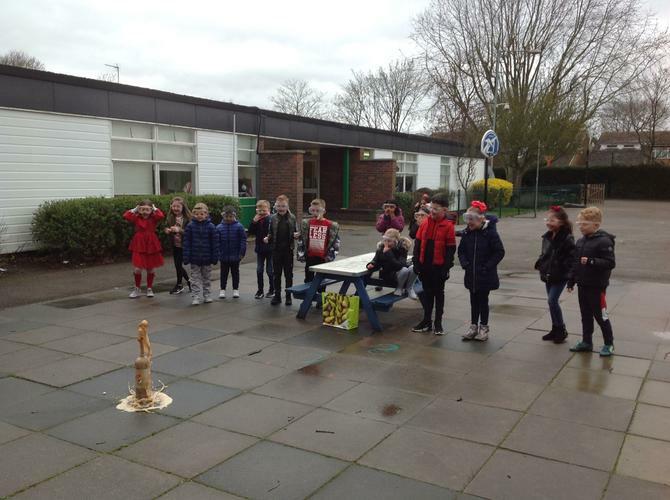 In Science Week we have been busy writing biographies of Charles Darwin, looking at engineering projects and we even ended the week by observing what happened when we dropped Mentos into Diet Coke. 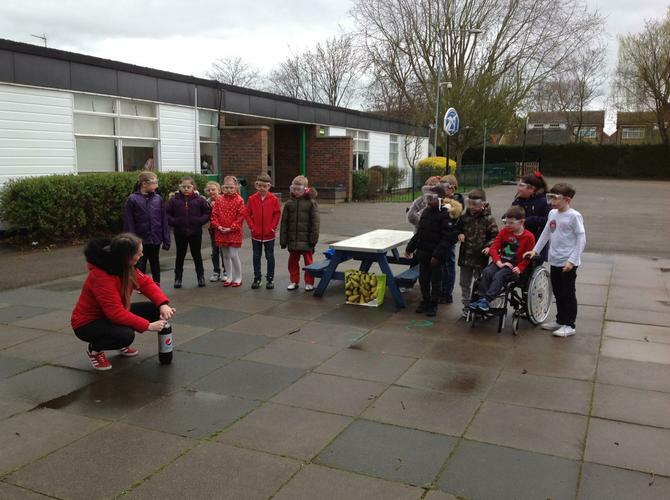 The pictures explain it all. 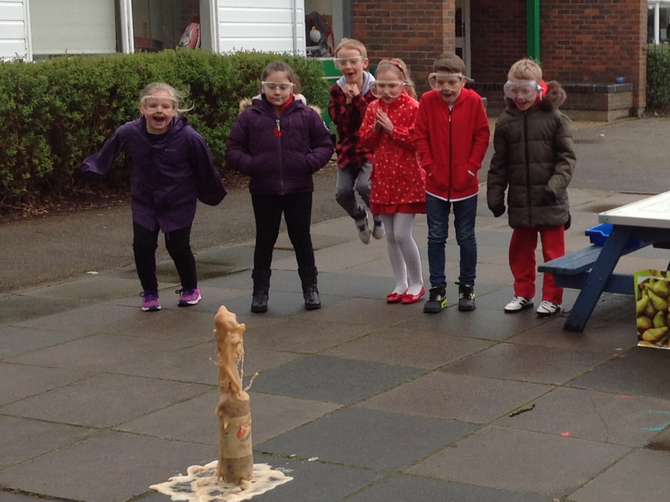 The smiles on the children's faces just proves how engaged and excited they were!